How To Make Money Quickly? The Best Answer Yet…. I’ve not talked about money and wealth creation on the blog for a while but today I heard the BEST answer to the question “How Can I Make Money Quickly?” I’ve ever heard. It totally disrupted my day. I woke up really early at 7am, and it being a Sunday I treated myself to coffee in bed and the chance to listen to a recording of a Q&A session, being hosted by one of my mentors. It’s a bit weird, I know, but I love to learn and the “Saturday Kitchen – Best Bits” wasn’t on for another few hours. You would not believe how much you can learn from other people asking the questions you need answered or hadn’t thought to ask…. About halfway in, this woman – let’s call her Joan – asked the usual question, the one that comes up regularly on these calls, which was…. There was a brief pause, while he thought about how to reply (and the rest of us braced ourselves!) and then he came back with perhaps the most brilliantly succinct – and kind – answer I’ve ever heard to that question to date. His answer to Joan was so great that it inspired me to ditch my plans to write my next few emails and to write this blog post instead! So what was the answer to Joan that disrupted my thoughts and plans and inspired this blog post? “In order to answer that question, you’ll need to consider some important things first and you may not be able to answer them today, but just even thinking about them will put you on the right path to achieving your goals….. Creating money, creating an income, is simply a measure of the value you are delivering to a group of people, who are willing to pay, who have a problem or a passion, who need your expertise, product or service which is a solution to that problem or adds value to that passion”. It got me thinking what I would have said to Joan – as I have been asked this same question many times by new mentoring students – and I couldn’t have put it better myself. I started thinking about what I would say to Joan, if I was sitting in front of her with all the time in the world to help instead of just a few minutes on a Q&A call. I was reminded of the sentence in “Think & Grow Rich” by Napoleon Hill, that completely turned my head around back in 1999 / 2000 and made me realise that marketing or selling a product or service is not a BAD thing, if you are providing a solution to a problem or adding value to a passion, as long as the people you are marketing and selling to, want whatever it is AND have the money to pay for it. Lots of people, when they are starting out on this entrepreneurial journey fixate on trying to save the world or helping a group of people who either don’t realise they have a problem OR who can’t afford the solution. Seems obvious, right? Well, it’s not at all and it needed to be said right up front. The other trap I see folks falling into is that they assume that everyone is as skint as they are! You have NO IDEA how much money other people earn, have saved, have access to. That said, how could Joan move forwards now she knows what she need to do? More importantly, how could she do it fast? In The Olden Days, How Did People Make Money? In the olden days, for example the gold rush, you had only one option which was to go where the action is. If you went to prospect for gold, you were going to provide labour to find gold (hopefully!) which you then sold to someone who wanted gold and who had the knowledge and skills to add value further, to that gold, by perhaps turning it inot jewellery and sell it on, making a profit. If you wanted to make money providing goods (shovels or tents or jeans) and services (accommodation and whisky) you really had to be there. The only exceptions I can think of are the people who supplied the things to the shops that sold the goods to the prospectors. What About Making Money In The 21st Century? If you have a job, you have to turn up to an office to provide the value (doing many and varied, often repetitive tasks) to your employer. It’s still very rare that you can secure a high paying job that doesn’t require you to actually be there. The employer percieves the value you are providing only if you are on the premises. However, that’s only providing value to one person – your employer. This is where you need to start thinking about creating a part-time business on the side of your day job so that you can start to provide value to MORE than one person / company. What Napoleon Hill also said, in “Think & Grow Rich” was…. And I remember thinking – wow! that means the internet! You can get in front of MILLIONS of people to serve online. So I set about – back in 1999-2000 – learning how to do that. And I’ve been doing it ever since. So how could Joan create a significant income in 90 days on the internet? If she had her own business already I would tell her to start there. Some of the most amazing successes I’ve seen over the last 10 years or so have been created by people simply taking their existing offline business online. Many existing businesses have databases of prospects and customers but traditionally it is very expensive to keep in touch with those people and create new or repeat sales. You can reckon on about £1-£2 per contact to send out a piece of direct mail. However, if you can find a way to reach those prospect or customers, perhaps by email, you can create an offer that will drive them to your website and buy, and if that offer is for something DIGITAL where you don’t incur manufacturing or delivery costs, you will make a lot of money very quickly. If you haven’t got a list of prospects or customers, you can rent a list of prospects and direct mail them once, and drive them to a page on your website that captures the names and emails of those interested people, so that you can market to them for free, over and over again. I once turned a couple of dog-eared old guest books into a several thousand strong email list, for my boutique hotel (bought in April and renovated in 12 short weeks) by sending postcards to them offering the chance to win a free weekend to “Stay in style at the newly refurbished Acacia Hotel – just visit this page and add your name and email”. By using brightly coloured postcards (with lovely pics of the place) I ensured that, even if those people had moved on, the new occupants of their house would visit the site and enter the competition instead of just throwing the letter in the bin. We were taking bookings for the summer season before the hotel was even finished! 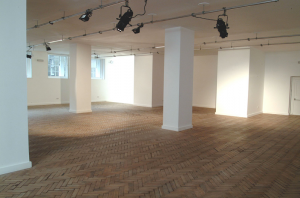 Another time, I was given the task of making money out of a 1500 sq ft empty room in Mayfair. It had natural daylight and wooden parquet floors so it had a lot going for it but it was completely empty! I found the file of previous bookings, identified the kind of people who had used it in the past, drew up a list of potential future customers, created a little website and emailed my new prospects with links back to the site, with photos, charges, and ideas for what it could be used for. We made over £160,000 profit in just 9 months and it’s still going strong today. Check out The Music Room at Greys Antiques if you are looking for such a venue. Maybe Joan has skills or expertise she could share, by audio or video, perhaps she’s written a book or has a system for helping people. In that case I’d be advising her to set up a website, or maybe just a Facebook Page, Twitter Account and Google+ Page and start building relationships with potential prospects and referrers. Don’t sell, just chat and try and help people – give value – for free to start with. Hook up all those profiles and pages to your own website and make sure there is an offer on that website, even if it’s free, to encourage people to give you their name and email, or even – god forbid – buy something! Just before Christmas I was approached by my first ever business coach, Chris Barrow, who asked me to help him make something out of all the wonderful materials he’s created over the years for his business clients, which included many dentists but not exclusively so. He had audio, videos, written materials, but it all needed collating and organising into a new website, blog and membership area. Because I knew how to do all that, he offered me a joint venture, and pulling on my expert team, within 3 weeks we launched the site, organised the webinar and sold over 30 people onto his “Get Your Year In Gear!” programme. Before I get inundated with requests for Joint Ventures, I would just like to make the point that Chris has been carefully cultivating his community for YEARS on Facebook, Twitter and YouTube. He describes himself as the Marmite of the dental world – people either love him or hate him. The one’s who love him are VERY loyal though. I would never have taken on the project otherwise, because you have to have a pool of people who “know, like and trust you” to be able to make money that fast. I’d be asking if she has a passion or interest, where she knows the community who also have that passion or interest. Is she an avid collector of something, does she sew Amish Dolls, does she love dogs or cats or parrots or guinea pigs, is she mad about jazz or sci-fi, is she on a diet and struggling or even doing well on it….? What Value Can You Provide? What Solution Can You Sell? Once you have decided which group of people you are going to add value to, you need to think about their Top 3 Problems and go and create – or find – some products or services to solve those problems. Keep it simple right now, remember we are looking to create an income quickly. If you don’t have a product or service solution yourself, don’t waste time creating one, go and find one where you can become an affiliate, a reseller or where you can buy wholesale and sell retail. There are websites online where you can search for affiliate offers, search for resale rights and search for overseas suppliers of wholesale products. I haven’t got space to list them here and beside we are talking high level strategy not specific tactics today. I do go into specific tactics when you opt in to my auto responder series, after downloading my free “Money Gym” book or my “How To Market ANY Business Online” report. Even people with a hobby or interest have a problem or two – for example, the friend of ours who sewed Amish Dolls had a lot of problems getting the right “stuff” in the UK, she had to buy materials wholesale from the USA and it wasn’t cheap. There’s an opportunity right there. My old bank manager played and coached badminton and he was always saying he should find a way to buy boxes of shuttlecocks wholesale and break up the packets into smaller amounts and sell them to the members of all the badminton clubs around the country, particularly the teens whose parents could not afford to buy them big boxes at a time. One of my mentoring students Kirsty is mad about dogs, specifically working spaniels. Previously a teacher, Kirsty started taking pictures of her dogs for fun, created a dog photography website and struck up some strategic partnerships. She now takes pictures of dogs at shows around the country, which is building her contacts and community. She is becoming known, liked and trusted in the dog world. Kirsty then learned how to market herself online so that she could build a business, when she was made redundant from her teaching job, which she knew was coming. She makes money from dog photography and selling her photographs on doggie mugs, mousemats etc..
After learning those internet marketing and business skills herself, she is now branching out into making websites for dog orientated businesses, like groomers and trainers, and rents out specialist websites in the short term, for breeders with litters of pedigree puppies for sale. Remember, pick a group of people who who KNOW they have a passion or a problem. The most painful experiences I have seen are where an entrepreneur tries to educate a market that they have a problem – you see this all the time on Dragon’s Den! Someone who loves dogs or Amish Dolls or sci-fi or who has a skin problem or is overweight or who has a painful frozen shoulder (like I have at the moment! ), they KNOW about it. And don’t start with trying to solve a problem for a group of people who can’t afford you – you can always make money first and then DONATE money or time to those people when YOU can afford it. Nope, Still Not Getting It! What if you don’t have a business, don’t have any expertise or skills, you don’t have a hobby or passion…. What could YOU do to start making a significant income in the next 90 days? I would simply pick a hot market, such as success thinking, weight loss, health, internet marketing, working from home, becoming an entrepreneur, starting a business perhaps…. Then I would go and find reputable products or services to sell, ideally with a recurring income potential, where people will keep buying or where they will continue to need the product or service. In success thinking you could choose a subliminal messages or mind mapping software where you pay on a monthly basis. In weight loss you could look at some of the more successful weight loss programmes like Jenny Craig, LighterLife or MyVi who are just launching in the UK. In the health market, you could look at the mens’s abs building products, reselling supplements or see if Jason Vale has an affiliate programme (he’s just started a home delivery frozen juice service). Around Internet marketing I’d look at the individual services that bill on a recurring basis, like web hosting, list hosting, teleconferencing or webinar hosting, membership site software, right up to top level mentoring. In the work from home space I’d probably look at some of the better known MLM companies but be very careful, you need to find one with a VERY good commission scheme or you’ll end up running yourself ragged building a team for very little return on your investment in time and money. Around starting a business or becoming an entrepreneur, I’d definitely be looking at ongoing mentoring programmes that offer affiliate income for referrals – you might be able to pay for your own membership very quickly AND make an income too. But Most Important Of All…. I hope that has helped to demystify what Joan could do, to get moving quickly and deliver enough value to enough people in order that she may start making money quickly, ideally a significant recurring income. A couple of really important things for Joan to remember though…. She must, must, must start to build a list of contacts, ideally hosted on a platform that will enable her to email them whenever she likes, because this is the real key to making money. Even if Joan’s first idea doesn’t work out and she has to “pivot” (in the words of Eric Ries who wrote the very excellent “Lean Startup” any new business is easier to get off the ground if you have the trust and respect of a community of people and an easy quick cheap way of contacting those people. Build an email mailing list Joan! Because nobody can take action for Joan, nobody can make decisions for Joan and nobody can keep going when times are tough, for Joan. Only Joan can do those things. But the good news is, Joan will also reap 100% of the rewards! And she’ll only fail if she gives up.